Blay Vision has already racked up an impressive and varied list of musical accomplishments – from making beats for grime royalty the likes of Wiley, Skepta, and JME to this year’s release of his breakout album, Turner Ave. An equality adept MC and producer, Blay’s vision shines through in everything he touches: writing lyrics, producing tracks, directing videos, you name it. 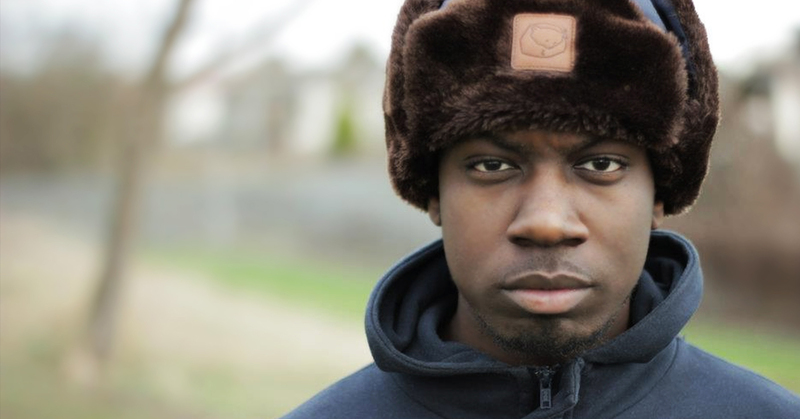 In the interview below, Blay discusses life being a producer and MC, his musical influences, and working with Wiley. Home is England, North London to be exact. How did that place shape your sound or the way you relate with music? I feel like my music is a mixture of things I’ve gone through and experienced in life and my area plays a big part in that. What are some of your greatest influences, musical or otherwise? I would say Bone Thugs & Harmony, 8bit Megadrive music, 90’s rap and more recent influences would be people like Jme, Wiley, Blive and many more to be honest I could go one for a while. Who are some of your favorite American and UK artists making music now? My favourite American artists right now would be Kendrick, Drake , BakaNotNice, Future and loads more , From UK I’d say Jme , Giggs, Capo Lee and P Money. What has it been like working with some of grime’s legends, like JME, Wiley, and Flirta D? It’s always great to work with people you look up too, if gives you the feeling like you’re doing something right. How does your work as a producer intersect and influence your work as a MC? Being able to produce helps massively because that was how I was able to create the sound I wanted to release to the world really. Plus it’s just fun really creating music will always be exciting to me. I feel they are important but in the same breath it’s so easy to get lost in the social media sauce so I just try and dip in and out, I try not to stay there tooooo long. Can you share any tracks that really bring you back to a place or are somehow connected to a specific time or locale? I can remember too many, I feel like I do so much I don’t really get to take in a lot but what my brain does is associate periods of time to music, so I couldn’t tell you a date and time but I could tell you what song was popping around the time being spoken about. I’m just looking to get on the mic and let loose man, this is my first show in America so I really wanna try and connect with the people and give a good show. I’m working on a new project at the moment haven’t given it a name yet but if you follow me on twitter you can keep up to date. See Blay Vision with J-Cush at the Lit City Rave alongside DJ Deeon and DJ TiGa at Good Life on Friday, August 11th. More info here!